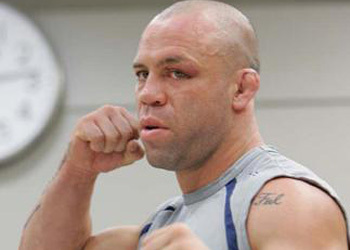 Although the former champion suffered his fifth loss in six fights, Wanderlei Silva showed that he’s far from done in MMA as he fought valiantly to the end against Rich Franklin at UFC 99. It was evident that the weight cut had an effect on his conditioning, but Silva didn’t want to use that as an excuse. “I’m feeling very well, this event for me is the best event in the world,” Silva said after the fight. With the loss, it is highly unlikely that the big showdown between Anderson Silva and Wanderlei will happen anytime soon, but it’s clear that Wanderlei’s future, if he decides to march on, will be at the middleweight division. “Thank you guys, see you next time,” Silva said to the fans and the world following the loss. Nobody ever wants to see someone hang around in a sport that’s passed them by, but Silva can still compete with the best of them as he showed in Germany. However, it’s possible that just being able to face the best won’t be enough to land him in another title match. That doesn’t seem to bother Silva at this point in his career though. After holding the Pride FC title for 5 years straight, there’s more important things to the MMA legend now, like his fans. “This (the crowd reaction) is my victory, my fans are my victory. I fight for my fans. I wanted to give a show for my fans and these fans are the reason why I stand here today,” Silva explained. We’ll have to wait and see what Dana and Co. have in store for the “Axe Murderer,” but no matter who his next opponent is, you’ll definitely get your money’s worth.